Hop on by April 13th - 21st for our Easter Event! 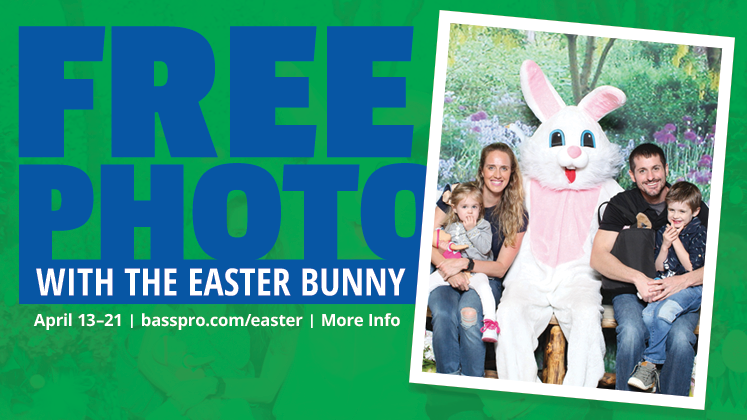 Free 4x6 Photo, Activities, & More! Join us Saturday, April 20th for a FREE Easter Egg Hunt! Registration will run from 1:30-2PM and the Easter Egg Hunt will begin at 2PM. Photo packages will be available for purchase in store!! 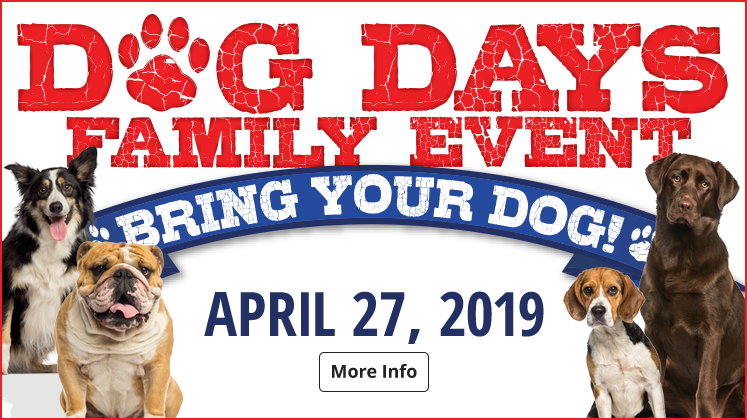 Join us for this years Dog Days Family Event!!! Bring your dog and enjoy giveaways, free photos, and seminars and demonstrations hosted by local trainers. The first 100 customers will receive a free gift bag!!! RGV K9 Training Centre will be having demonstrations at Noon and 1PM! When you first enter our lobby, look up! You will see hand printed murals from scenes of our beautiful South Padre Island Beach, a dense growth of trees, plants, and underbrush that covers the Rio Grande Valley. 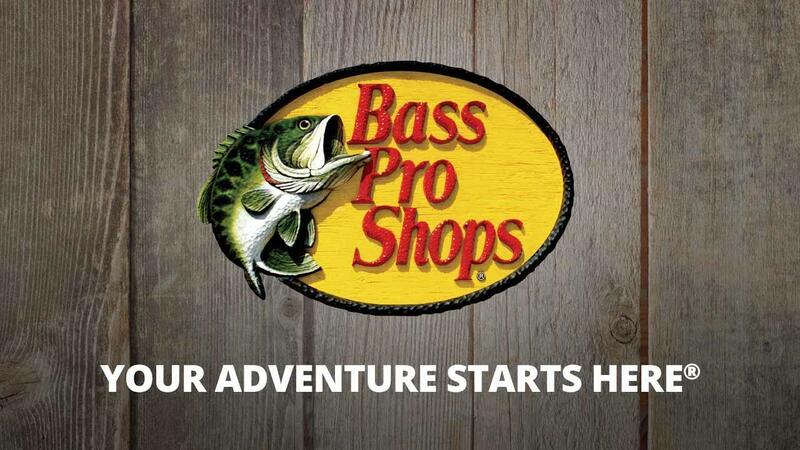 Giant exquisitely crafted outdoor themed chandeliers made by Bass Pro Shops own artisans, hang throughout the store. Deer, duck, and turkey tracks are imprinted in the concrete floor. Record wildlife replicas from the King Ranch are also found in the lobby above the fireplace and over the entrance doors. 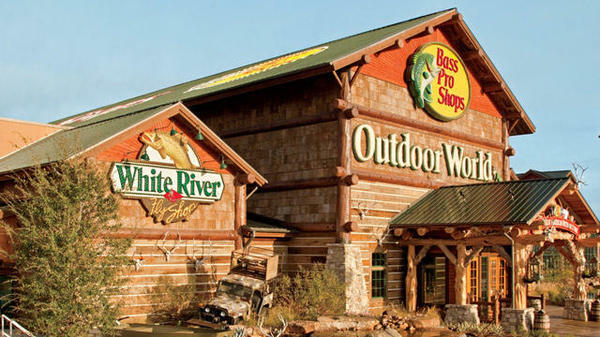 We have excellent, and extensive, Fishing and Hunting departments--but there's more! Like Camping (which include grilling, hiking, and everything you can think of) Our Gift Shop (toys, mailboxes, wind chimes, music, hot sauces, etc.) 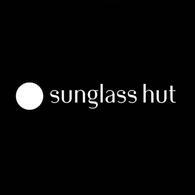 Sunglasses (Oakley, Maui Jim, Costas) Apparel and Footwear (with brands like Red Head, Under Armour, Bob Timberlake and more) Tracker Boats(fresh and saltwater boats, even ATV’s) Water sports (kayaks, rafts, wake surfing boards, snorkeling equipment, and other fun water toys) The best part is that each department comes with skilled and knowledgeable associates that will guide you through your everyday needs in helping your outdoor activities go just as planned. Visit us every Wednesday and Saturday at 2pm for our popular fish feeding at our tank! Our 24,000 gallon aquarium contains all kinds of native fish. This is no ordinary aquarium, the running water fall and the natural wildlife scenery are sure to create an amazing action park visit. Our store carries different types of fun arcade games which is part of our Uncle Bucks Cabin shooting Gallery. Depicting a country cabin with wildlife and nature all around it, kids and adults have fun shooting at the targets and seeing the interaction of all the items of the gallery come to live. Our store has a 20-yard-long, wilderness-decorated archery range that allows you to learn how to use your bow and feel comfortable with it while an associate helps adjust it to you. We are proud to say that we are the only ones in the Rio Grande Valley to have a closed indoor archery range. Make sure to stop at our Fudge Shop to get your fresh made fudge where you can be sure to enjoy all 30 plus flavors of fudge, ice cream, shakes, coffee, popcorn, cinnamon glazed pecans, almonds, and cashews. Can’t leave our Chocolate Covered Apples and Marshmallows behind. If you don’t know where it is no need to ask someone just close your eyes and follow the intoxicating aroma. Our restaurant gives you the option of an outdoor dining experience and an indoor dining area where the fish are mounted on the ceiling. If that doesn’t fit your mood, come sit at our bar and enjoy the view of our 3,000 gallon aquarium which will make you feel like you are dining underwater. This is where the outdoors meets the indoors for the ultimate sportsman and family. Throughout the year we do a Spring Fishing Classic, Fall Hunting Classic, and a Go Outdoors event. In addition we have numerous other seasonal events like Free Boat Shows, Easter Events, Family Summer Camp, Labor Event Family Fun weekend, Halloween Bass Pro Style, Santa’s Wonderland and more! Keep checking our events page for these and other events. If all of that was not enough we also offer workshops in Fly Tying, Fly Casting and special courses like our State auxiliary Safe Boating classes and Hunter Education. We also have some store-only events, so keep checking this page for the most up-to-date events info.